Now you can get your very own copy! It has been said that some stories have their own timing, a sense of place within the fabric and power of word when they choose to deliver themselves to our world. Such stories can drive authors crazy as we strive, usually vainly, to birth the tale before its inwardly designated moment. BETWEEN WORLDS is one of those stories. This, after many moons, is its first wave. Set in present day Los Angeles California and in what has often been called The Garden of County Wicklow Ireland, BETWEEN WORLDS carves its tale along the pathways of time, casting us back through Ireland’s mystical mists into the sixth century and those precious moments before Glendalough became a renowned monastic city. It tells the tale of a woman who leaves her budding LA world behind to follow an invisible thread connected to the face of a man who has come to haunt her. Instinctively she feels Ireland carries the clues that will rid her of this vision and bring peace back to her world. The upper lake of Glendalough has other plans. Called a historical romance by some, albeit with more than one twist, BETWEEN WORLDS is really a heart song to and for Ireland, and because everything is interlinked in our world, it naturally becomes a heart song for us all. Like all songs of the heart, it carries the potential for healing, and a key to love. Be one of the first wave to read this EBook! It’s a wonderful story whose time has come. You can order your copy(s) by leaving your contact details on the comment section below and we will get back to you. Payment is by PayPal. The EBook is available both in Kindle and main stream version (which can be downloaded onto Adobe Digitals Edition software and also thru ibook on your iphone). Each is also available in high or low res. Let us know which version you want. 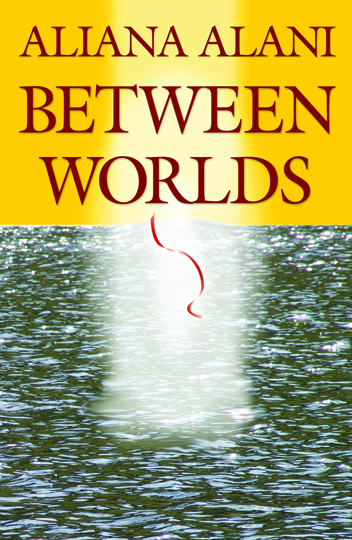 If you want a taste of the tale before you buy, click on the Between Worlds – Sneak Preview page of this blog, scroll down, click on the pdf link below the book cover, and enjoy. Word-of-mouth is a treasured thing when self publishing so do pass the word along to anyone who you feel would be interested. Truly it’s a story that deserves to be read. I hope reading BETWEEN WORLDS will touch your heart. Writing it has definitely touched mine.